What was our family’s favorite gift this year? Well today it was the zoo pass from Robert’s folks! The kids and I headed out first thing this morning to enjoy the 70 degree (plus) weather – the high is supposed to be 81 – what month is this? Oh wait, we live in Texas and you can never predict weather here!! 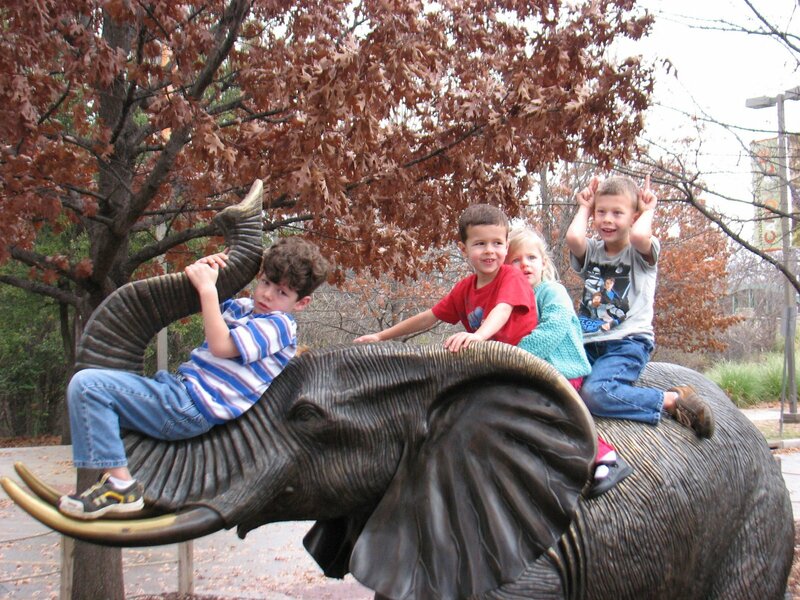 So here are the kids enjoying the elephant outside the zoo, because in my excitement we arrived a little early! But hey, what is 15 minutes when there is fun stuff like this to climb on! Do you notice the thrilled look on Hans Solos’ face? I think he thought it was higher than it seemed from the ground! And little girl is clinging to her brother for dear life I think! Chewie is taking pics now – and since I could not see faces this is what we got with little Luke – and the princess does not look to thrilled either! Oh well, still cute! 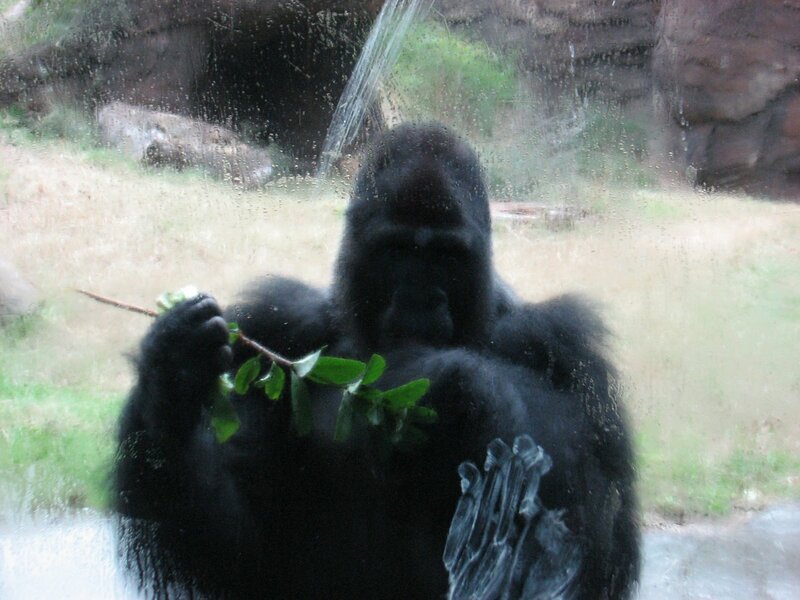 Here is our first pic of Patrick today – he is the male gorilla at the Dallas zoo. We have seen him often and have quite a few pics of him. 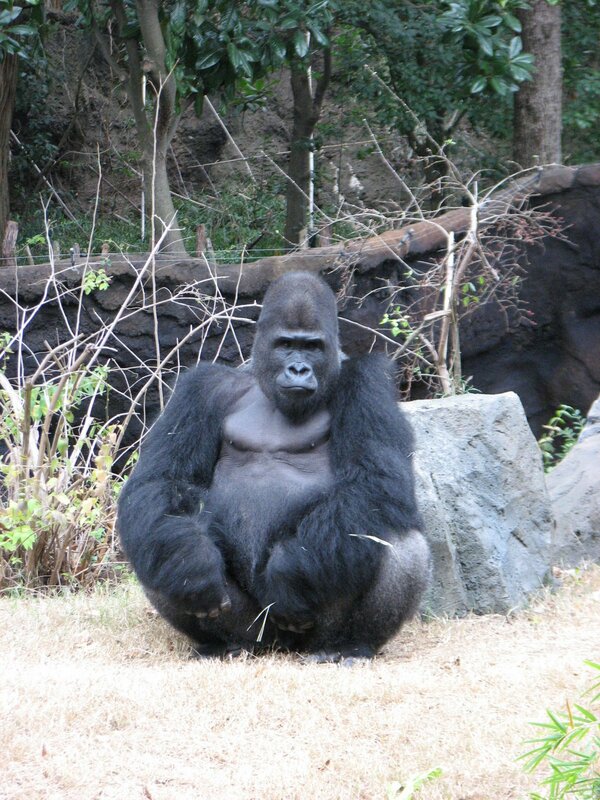 But today we were able to get a nice pic of him just sitting. A few minutes later we walked around to the other viewing site by the cave like structure that you go into to see Patrick behind the glass. He was walking over toward us with some vegetation in his mouth and I thought we may get some good sightings again. He was about 5-10 feet away when he ran to the glass and jumped with his hands into it. Do you see the hand print? It terrified the kids, Little Luke was pleading from the other side of the cave structure to come out of there now – he was worried Patrick was coming through! Little girl was clinging for dear life and the boys were shocked but did not run off. I admit I jumped!! 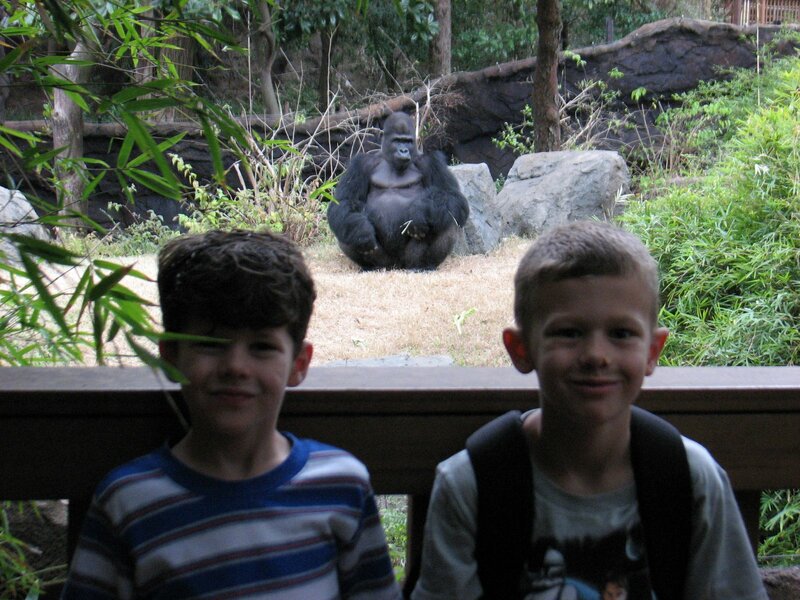 I am not sure Patrick is my favorite Gorilla anymore! 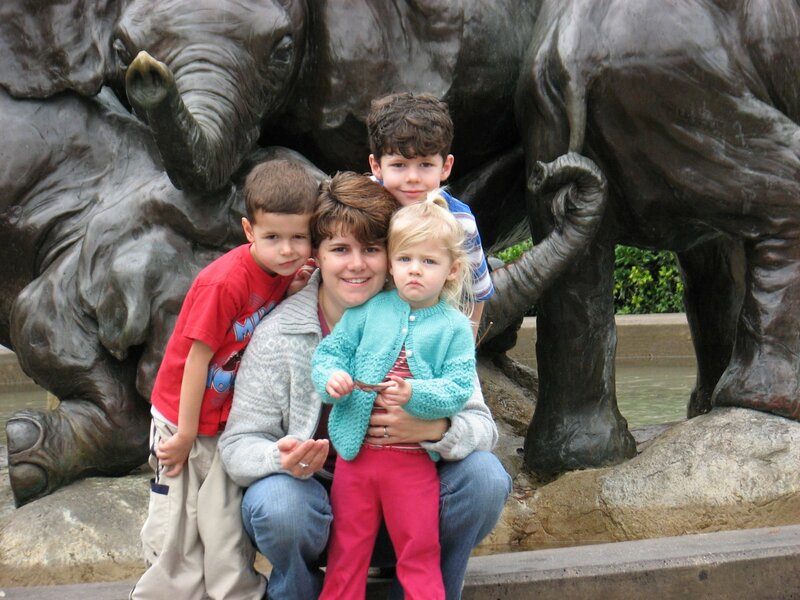 But it was a fun trip and the kids loved it! Next On the Road Again…..